We all struggle with communication on some level, even those of who communicate for a living. 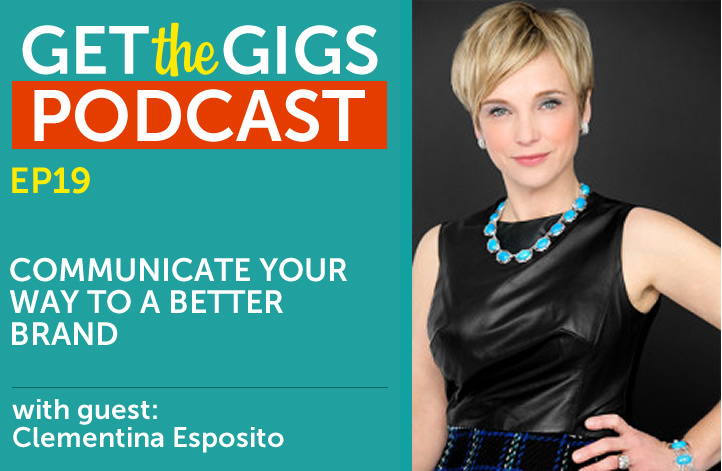 Clementina Esposito drops by for a discussion about the connection between communication skills and a strong brand and website. Clementina Esposito is the CEO and founder of the Clementina Collective–A collaborative created to help writers, speakers, entrepreneurs, and visionary leaders advance their causes & their careers by mastering the communication skills necessary to create positive change, healthy relationships, lasting growth, and engaging writing and speaking. Deeply immersed as student, consultant, and faculty in the world’s top speaking programs for the last five years, consultant to Tedx in 2017, and a lifetime of experience teaching business and creative writing have given her ample experience helping people tell their stories in service to their audience and a sound success strategy. You can check out her new launch here. Clementina talks about her start as an academic. We all have communications problems in some way. It’s tough to objectively see your brand. Good design facilitates good communication. We’re all just trying to find our fan-base. The future (and present) of marketing hinges on sincerity.